NewsPatrolling.com, India&#39;s leading content dissemination portal, announced today that it has partnered with DailyHunt (formerly NewsHunt), a popular news aggregator and online book store. The partnership is in line with NewsPatrolling.com&#39;s consistent focus to bring its innovative content dissemination platform to a wider audience base, wherein a greater number of people can benefit from its fair, independent and unbiased news reporting and blogging. NewsPatrolling.com has always endeavored to bring the real stories, as they happen, to its readers, and by partnering with DailyHunt, it would be able to touch the lives of more people who are looking for daily news and updates and the latest buzz in India and abroad. As per the partnership, DailyHunt will now have direct and automated access to NewsPatrolling.com’s content feed, which includes the latest news updates and insightful blogs. The partnership will help DailyHunt to offer a unique value-add to its readers, as it will be able to leverage NewsPatrolling.com’s vast network of news reporters and bloggers, who are spread across most major cities and towns in India. With its regional media associates, NewsPatrolling.com’s ability to identify and publish the most updated news is unparalleled. This key competency will now be available to DailyHunt. Speaking about the partnership with DailyHunt, Founder and CEO of NewsPatrolling.com, Pankaj Bansal said, “Our partnership with DailyHunt provides us the opportunity to present our unique content dissemination model to a wider audience. DailyHunt’s readers will now have uninterrupted access to the latest and most relevant news stories and blogs, as published on NewsPatrolling.com. NewsPatrolling.com is a leading online content dissemination portal, offering the latest news updates and blogs. It provides a platform to deliver unbiased news stories and reviews. It is not connected to any political party, industry or organization, something that helps maintain the integrity of its news stories and opinions. NewsPatrolling.com is the voice of several brands, individuals and organizations that utilize its platform as an effective alternative to mainstream media. NewsPatrolling.com is updated 24/7, which allows its readers to stay abreast of the latest developments on their planet. 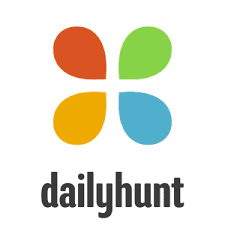 DailyHunt (formerly NewsHunt) is a popular news aggregator and online books store. DailyHunt covers news and updates from most of the leading newspapers and other prominent sources including news portals and feeds. DailyHunt offers its readers the choice of more than a dozen regional languages to choose from. The DailyHunt mobile app enables readers to choose the type of news and updates they want to access and in the language they prefer.